There were complaints about AliExpress regarding its delivery time before. But it should be noted that AliExpress has improved delivery time for the last years seriously and continues working on this signing agreements with major local and international postal service companies, including in the US. 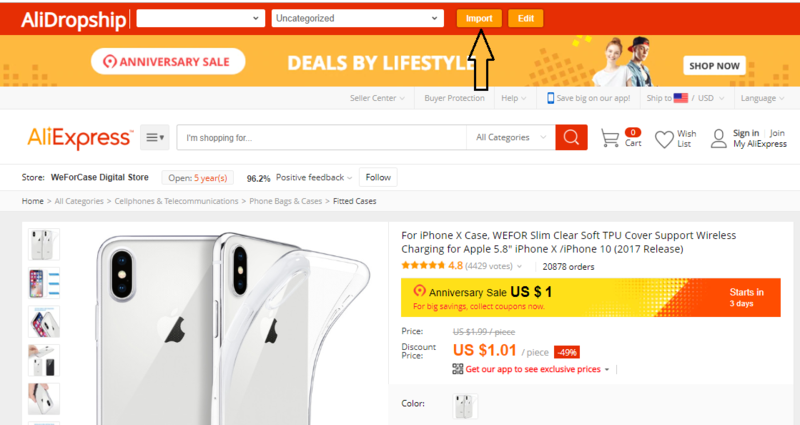 Besides, you can always use the strategy of selling not very expensive products with ePacket free shipping option only (there are loads of such products at AliExpress). In this case customers are more willing to wait longer. When possible, try to take only the products that offer ePacket shipping that’s free or very cheap. Because a majority of products on AliExpress come from China or Hong Kong, ePacket delivery is not only the most economical, but one of the quickest ways for small goods to get to the United States, as well as to other countries. ePacket is a shipping option provided by Chinese and Hong Kong sellers. It is a great solution for online trade as it allows providing an affordable shipping option for light packages within a short time. The story of the ePacket shipping service dates back to 2011 when the US Postal Service made special agreements with the national postal carriers of China and Hong Kong (and later on South Korea and Singapore). These agreements allowed tracking-enabled packages not longer than 36 inches or weighing less than 4.4 pounds to be sent to the United States for extraordinarily low rates. As you might expect, the letter “e” stands for ecommerce. Initially this service was meant to increase global trade with the United States. Now it allows customers all over the world to receive the purchases from Chinese online stores and marketplaces at very affordable prices. As a rule, delivery with ePacket should take 7-12 working days from the announcement. Since we’ve been long in this business, we have analyzed the statistics of shipping time and can say that the estimated shipping time with ePacket is from 12-21 working days. The term can be longer than the carrier stated as these 7-12 days’ term is calculated when the tracking of the package becomes available. And in most situations, internal transfer in post office takes 3-5 days (even if the seller updates the tracking number). Relatively cheap shipping fee (which is often free) makes ePacket a perfect solution for dropshipping. Such delivery services as DHL, FedEx, or USPS are faster, but are you willing to pay around $20 for each package and reduce your profit? The seller should provide an ePacket tracking number or code which is used to check the status on the USPS, China Post and other tracking websites. Using one of the official websites. When the package is still in China, use EMS. When your package is in the US, use USPS. Using third party tracking services: Postal Ninja, Track China Post, Package Mapping, AfterShip, 17TRACK, etc. When you buy products on AliExpress, the Order Details usually contains the status of the package. The easiest way to detect products with ePacket shipping option is to use AliDropship Google Chrome extension. 1. Install AliDropship Google Chrome extension. 2. Go to AliExpress.com and start searching necessary products. 4. Visit a product page and click Import button on the top red panel. The product will be sent to your site Import List.